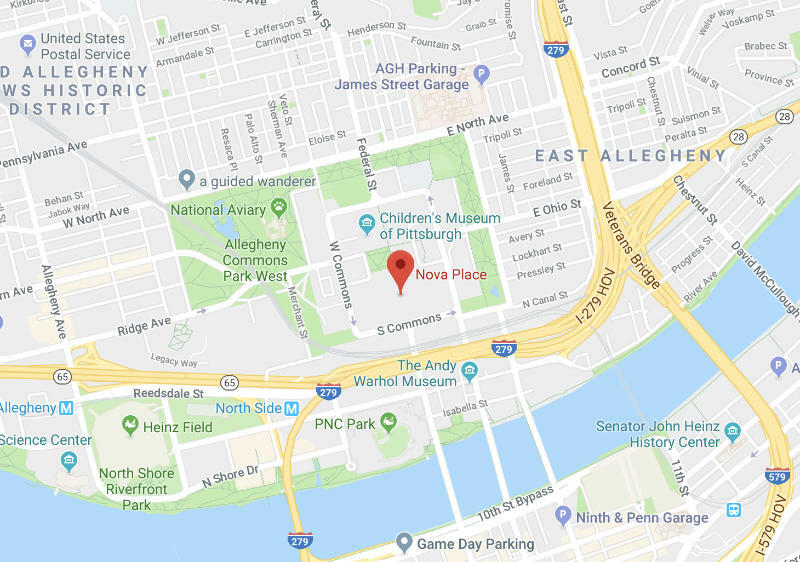 Daniel Stoner and Kushal Davé are a group of Pittsburgh, PA based attorneys that focus in many areas of law, including business, real estate, personal injury, and more. They came to us looking to rebrand their firm with a new logo and responsive website. We delivered with a custom WordPress solution that’s as beautiful as it is functional. Daniel Stoner and Kushal Davé are the founding partners of Stoner and Davé, PLLC, a Pittsburgh, PA based law firm that specializes in many areas of law, including business, real estate, personal injury, and more. We originally met Dan Stoner at a networking event in Pittsburgh. Dan was initially interested in boosting business through the use of an online advertising campaign, and wanted to see how we could be of assistance. The campaign we set up for them turned out so well that Stoner and Davé decided to have us update their existing logo and website in order to create a more cohesive brand that could help them take their online marketing efforts even farther. Create a cohesive brand identity for use in future print and web marketing campaigns. Create a new, more professional and memorable logo that compliments the new brand identity without straying too far from the established look and feel of the firm. Design and implement a new website that utilizes the new brand identity and is also easier for site visitors to use. Make sure the new site is mobile responsive and looks good on any device it may be viewed from in order to boost search engine rankings and client engagement. Set up a Google Adwords online advertising campaign to help boost traffic to the website. Maintain and optimize the Google Adwords campaign to lower cost per click while raising the amount of new leads generated for Stoner and Davé. To start the rebranding process for Stoner & Davé, we set to work updating their logo to something more modern and eye-catching. The original logo for Stoner & Davé was fairly simple and was mainly comprised of an elegant font and the Pittsburgh skyline. With the redesign, we focused on keeping the same imagery and general style for the logo in order to reinforce the existing brand identity that had been used by the company since their inception. The overall color scheme was kept with shades of blue and tan, similar to the original logo. The blues were desaturated while the golden brown from the old logo was replaced with a lighter beige. These new colors softened the logo and created a more modern, subdued brand for the firm. The Pittsburgh skyline was reimagined in a more detailed way. Different shades of blue are used to create depth and layers in the cityscape while iconic buildings from the skyline are prominent and instantly recognizable to Pittsburgh natives. Finally, the font from the old logo was updated with a more modern one. When looking for a new font, we focused on finding one with an interesting looking ampersand. The ampersand needed to be elegant and decorative, but not too strong as to overpower the city skyline in the background. In the end, we came up with a modern version of their original logo that would lend to a more solid and professional brand for the firm moving forward. The next step in the redesign process was to update the firm’s website, both in design and functionality. This new website is built around the WordPress platform, making it easy for Stoner & Davé to make updates to their site. WordPress allows them to make quick content updates, add or remove pages, and maintain a blog with legal information and advice for their clients. We also used a drag and drop editing plugin for WordPress to allow easy customization of page layouts so the information on the site can be presented in an attractive manner. This new site is mobile ready and the design looks good and works well on any device. The mobile version of the site also features a touchscreen-friendly navigation menu with elegant animations and transitions. Finally, we took steps to create a more solid online presence for Stoner & Davé by setting them up to be able to track and analyze their website traffic. The site is wired up to Google Analytics and Adwords for conversion tracking, making it a great tool for tracking the success of their online efforts. After setting up a new logo and website for Stoner and Davé, we dove back into the Adwords campaign that we initially set up and began taking steps to optimize things. We worked on creating more robust ads for individual services offered by their firm, and simultaneously created new landing pages that would help to better convert interested parties into paying clients. Within the first two months after launch, we managed to boost the overall conversion rate for their Adwords campaign by a very significant amount. As time goes on, their conversion rate continues to go up while cost per click has been falling steadily. In the legal industry, trustworthiness is a crucial piece in the success of a firm and its partners. We were excited to be able to work with a firm to emphasize and illustrate that quality through design and branding. With the help of our branding and advertising services, Stoner and Davé have taken their business to new heights. New leads are constantly getting in touch almost daily, helping Stoner and Davé grow and expand their business. By creating a more trustworthy appearance for their business, and coupling that with an online advertising campaign, we not only drove more traffic to their website, but also helped to convert that traffic into potential clientele. Diving more heavily into online advertising opportunities helped to grow a successful business for Stoner and Davé, and it can help your business as well.